The new i500 Irons series brings careful engineering and precise design together to create the best set of Irons available. The clubs include a forged, variable-thickness steel face insert with compact size and minimal offset to create more distance on your swing by increasing ball speed and trajectory. 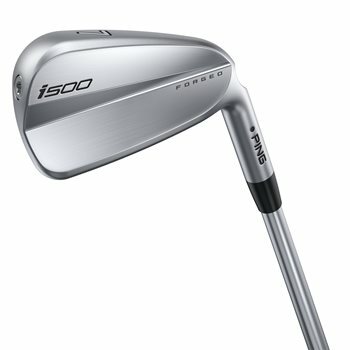 The clean design is perfect for golfers looking for a players-style iron. Finished with Hydropearl 2.0 chrome to ensure smooth turf interaction and reduce scratching and wearing. C300 Maraging Steel face insert in this player's distance club flexes at impact for higher ball speed and trajectory.